Taking place from 21-24 June in venues around central London and across University College London’s WC1 campus, the Open City Docs Fest returns for another round of documentary-based wonder. In terms of info on programme and the ethos behind the fest, there’s very little I can add that hasn’t been covered by the carefully crafted press release, so I’ll hand over to that right now. 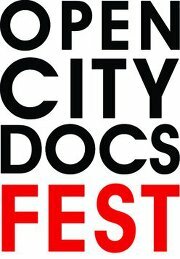 Open City Docs Fest is a live festival devoted to exploring the world we live in through the vision of documentary film. The festival presents films about real life, and about the experience of real people many of whose voices are not often heard. We challenge, explore and expand ideas of what documentary can be and do, provoking debate and opening minds. With interactive screenings, special events, conversations, workshops, performances, music, and great food and drink – the festival provides stimulation and enjoyment for everyone. Open City Docs Fest has selected films that explore the range of modern life from the challenges of urban living, to the thrills of science, the subversion of art and the restorative beauty of music. Select your viewing from our handily organised festival strands including Science Frictions, Protest Works, Sound Waves, Still Lives, Artists’ Documentary, The Image of the Engineer, City Scope, World Visions and Shorts programmes alongside a showcase of the winners of our nationwide, online film-making competition, MyStreet or choose from the fantastic titles selected for our Awards by our Jury. Click here for more information on prices and how to buy tickets. This entry was posted in Bits and pieces and tagged 21-24 June, Documentaries, film, grandma lo-fi, london, Open City Doc Fest, The Artist is Present, UCL on June 20, 2012 by Ashley Clark.